Kala's position as tour guide at a Kentucky Welcome Center isn't enough to cope with huge debts left by her late husband's illness, but she manages to make ends meet, until she has car trouble. To save on future repairs, she enrolls in a basic auto-care class. Rex is a handsome, part-time instructor whose broken heart needs repairing, too. After recently losing his important job and family, he has sworn never to get involved with another woman. Kala discounts her growing attraction to Rex when she learns he is years younger, until the winter storm of the century throws them together. When the Interstate closes down, Kala opens her home to a houseful of strangers. 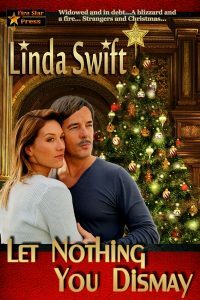 Despite fire, flood, and friction, she creates an old-fashioned holiday rich in the true spirit of Christmas. In the process, will Kala and Rex discover the greatest gift of all?